Clematis Macro In Black And White by William Martin - 10.000" x 7.125"
Clematis Macro In Black And White wood print by William Martin. Bring your artwork to life with the texture and added depth of a wood print. Your image gets printed directly onto a sheet of 3/4" thick maple wood. There are D-clips on the back of the print for mounting it to your wall using mounting hooks and nails (included). 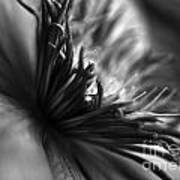 Black and White macro of a Clematis in the garden. 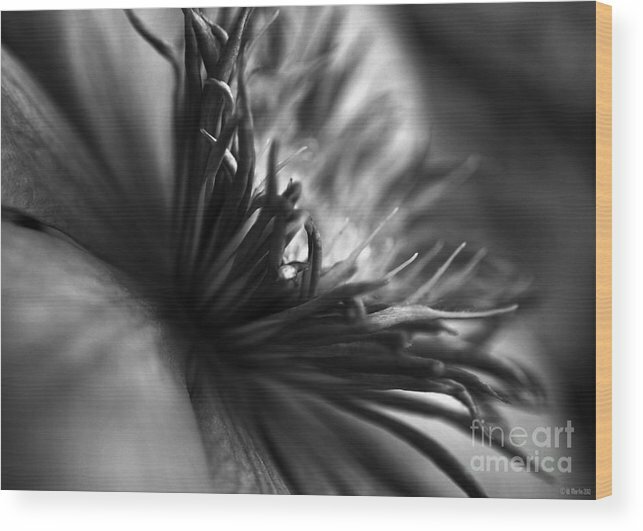 Makes a great framed print for your home or office decor. I have been in graphics for over 25 years mainly working in the print industry as an in-house designer and as a freelance designer on anything from business cards to large format. I enjoy working in photo illustration, digital painting, pen and ink and pencil. 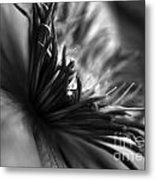 In the past couple of years I have gotten more into photography and enjoy it very much I hope you enjoy my designs and photos.I create custom greeting cards and wall decor with a variety of styles and ideas.